Pre-schools, primary schools, individuals and families are invited to get creative for our *brand new for 2018* wheelbarrow competition. 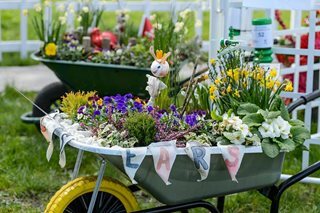 Your wheelbarrow designs will be on display at the show for all of our visitors to enjoy! Prizes for all - watch this space for further announcements on some exciting prizes on offer! To enter follow the link below entry is free.